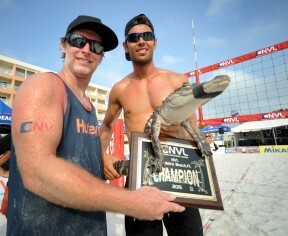 MADEIRA BEACH, Fla. – The National Volleyball League’s (NVL) second pro stop of the 2015 season awarded titles to men’s team Matt Henderson (USA) & Piotr Marcianiak (POL) and women’s team Kristen Batt-Rohr (USA) & Priscilla Piantadosi-Lima (BRA). Two-seed Henderson/Marciniak defeated nine-seed Skylar DelSol and Jeff Samuels in a hard-fought three game match, 21-19, 18-21, 15-12. 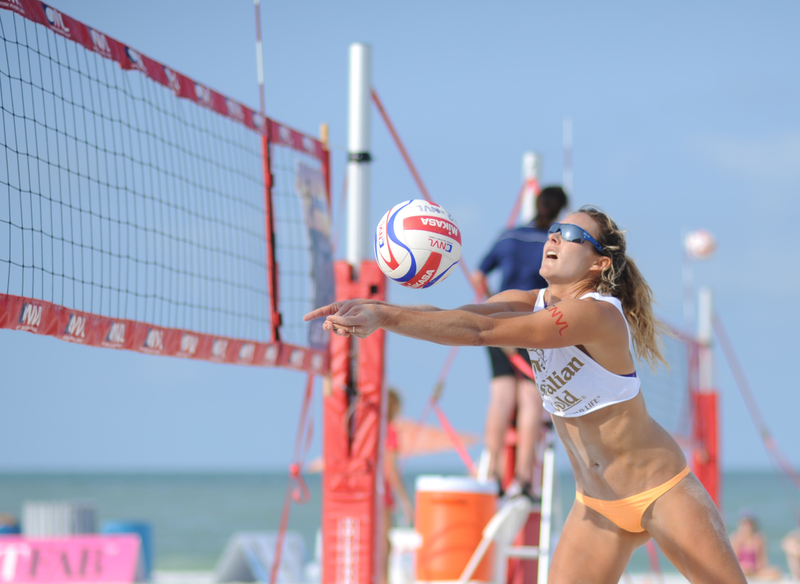 Henderson and Marciniak took home the 2014 Midwest Championships in Ohio and look to maintain a commanding presence on the sand this season. Two- seed Batt-Rohr/Piantadosi-Lima upset one-seed and Panama City Beach 2015 champs Brooke Niles and Karolina Sowala to move into the Madeira Beach women’s finals. Batt-Rohr/Piantadosi-Lima went on to dominate in the finals defeating three-seed Chara Harris and Jessica Stubinski, 21-18, 21-12. 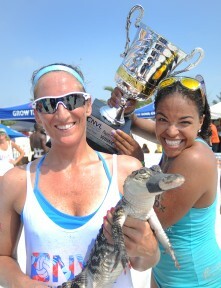 The tournament was held at John’s Pass Boardwalk in Madeira Beach from April 24-26 and featured top pro beach volleyball players from around the world, competing for a $50,000 prize purse. NVL’s junior and amateur league, NVL RIZE, hosted a free clinic with the pros for local juniors before the women’s finals on Sunday. Fans enjoyed Mikasa and Australian Gold giveaways, trivia with the pros, serve to win competition, and much more. The Madeira Beach Championships center court matches will be available to view free on-demand at the NVL Network. Click here to see all the matches and results.